Yummy! 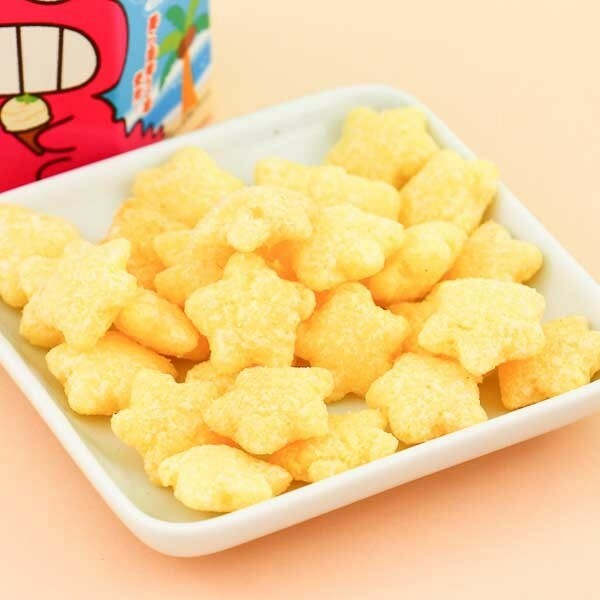 These salt vanilla-flavored corn puffs are shaped like stars and are the favorite food of Shin-chan! 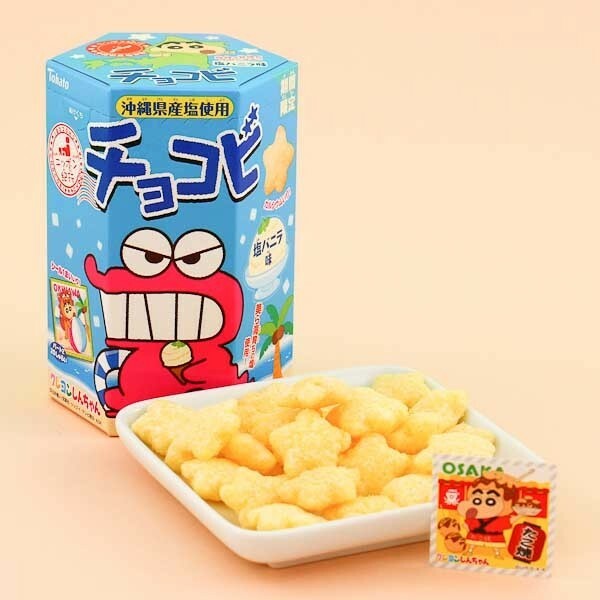 The crunchy snack will fill your mouth with a sweet flavor of salt vanilla. 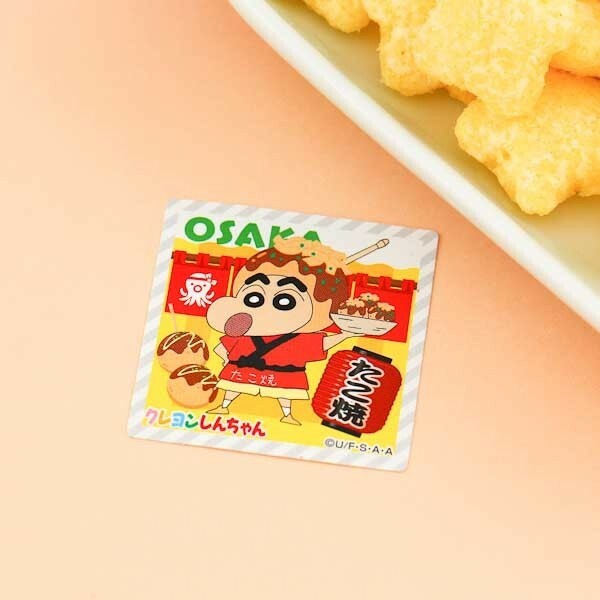 Jump into the world of Shin-chan and snack on these puffy and sweet corn puffs! Besides eating them, you can use the corn puffs as toppings on a bowl of ice cream or yogurt! 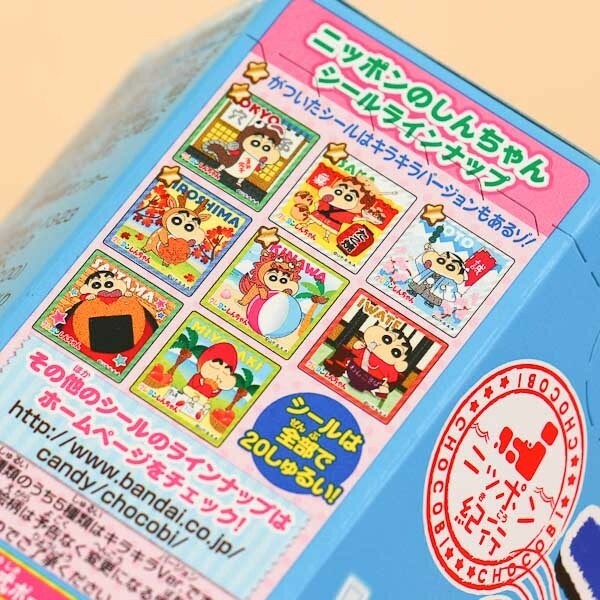 The box also comes with 1 of 20 different collectible Shin-chan stickers. How many can you collect?